The amount you’re entitled to claim depends on your net income for the year. If your 2017 net income is $36,430 or less, you can claim $7,225. If, however, your net income was more than $36,430, the amount you can claim is calculated by subtracting $36,430 (base amount) from your net income and multiplying the difference by 15%. This amount is then subtracted from the maximum claimable amount. For example, let’s say you turned 65 in 2017 and your net income for the year is $50,000. Based on the following calculation method, the age amount you can claim is $5,189.50. Remember, if you’re eligible to claim the federal age amount, you’re also entitled to claim a corresponding provincial age amount, which varies in amount depending on which province or territory you live in. Use this link to find out more about your provincial details. Yes, you might be able transfer all or a part of your age amount to your spouse or common-law partner if you don’t need it to reduce your tax payable to zero. Transferring your age amount (if you don’t need it) to your spouse is a great way to optimize your return. For example, if you only owe $3,000 in taxes and your age amount was $5,000, the remaining $2,000 ($5,000 - $3,000) will be useless since it can’t be claimed as a refund or carried forward for use in a future year. However, depending on your spouse's tax situation, you can transfer this amount to him or her to help decrease their tax liability. 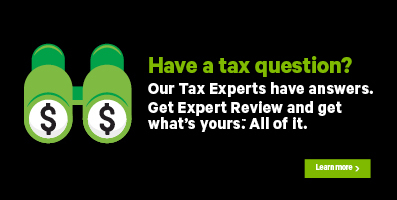 H&R Block’s tax software will automatically claim both your federal and provincial age amount on your return for you. In fact, if you don't need the full age amount to reduce your taxes to zero, H&R Block's tax software will determine whether it is beneficial to transfer the unused portion to your spouse or not. If it is, the software automatically transfers the unused amount to your spouse's return. You'll be able to see the age amount you claimed and/or that was transferred to your spouse on the Credits and claims page in the OPTIMIZATION section under the WRAP-UP tab.